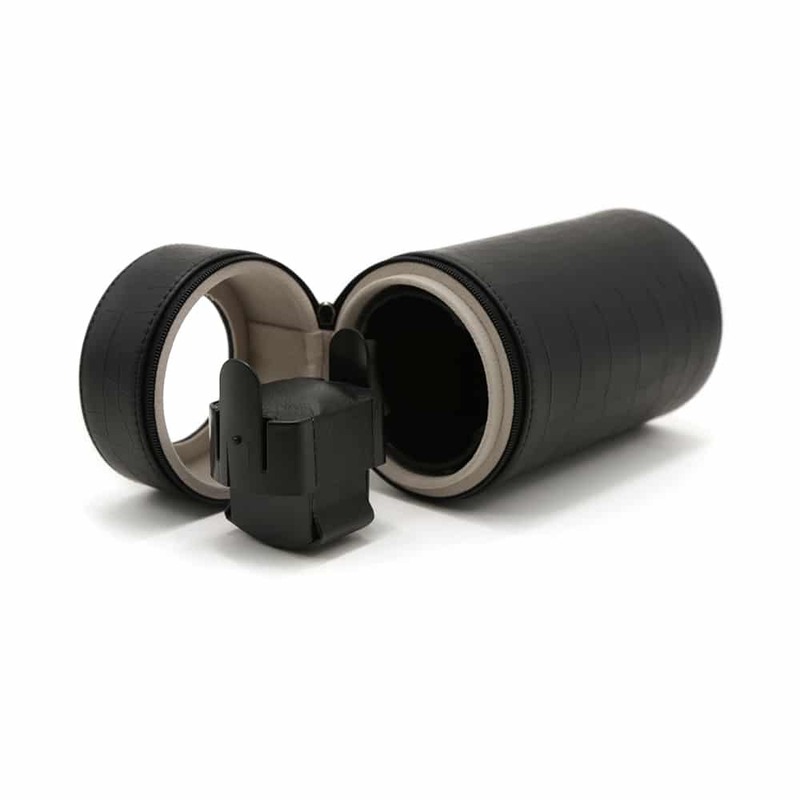 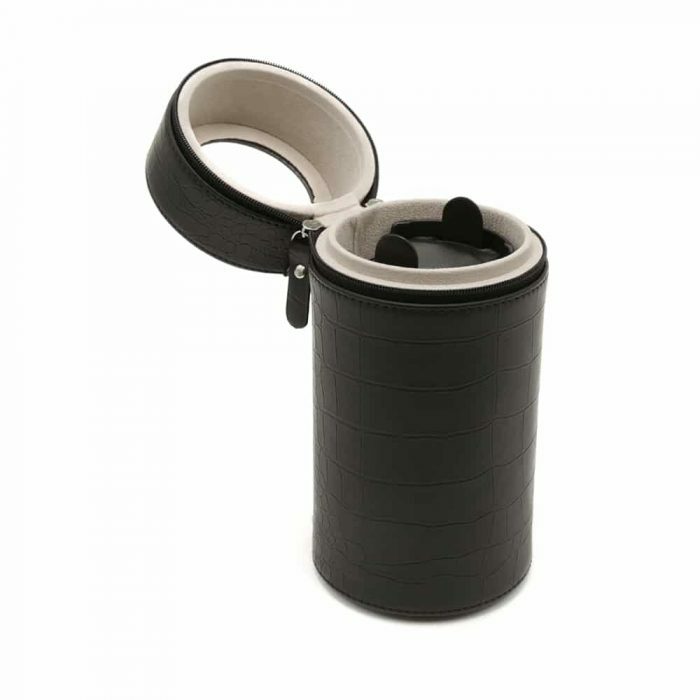 Get this Black Single Cylinder Watch Winder to maintain your watch collection with ease. 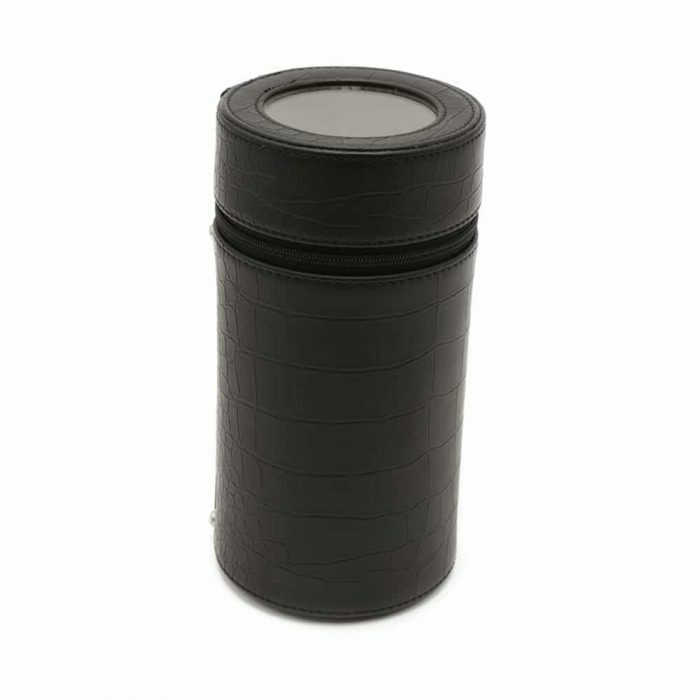 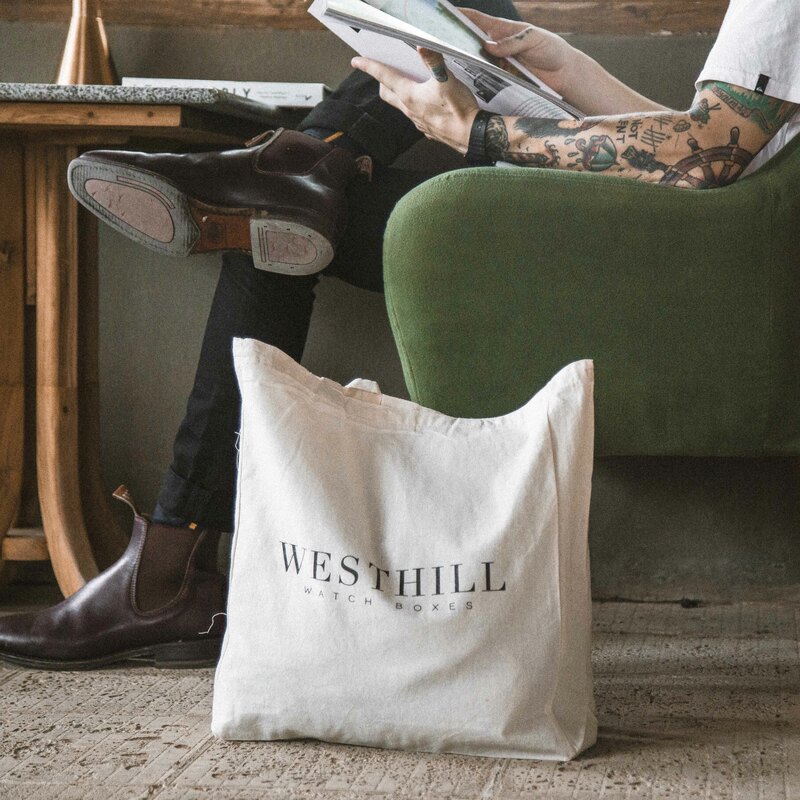 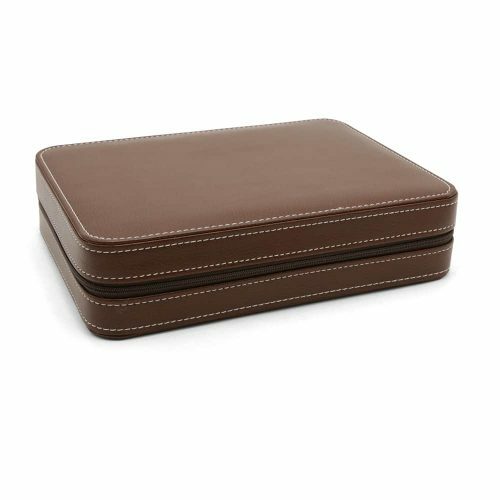 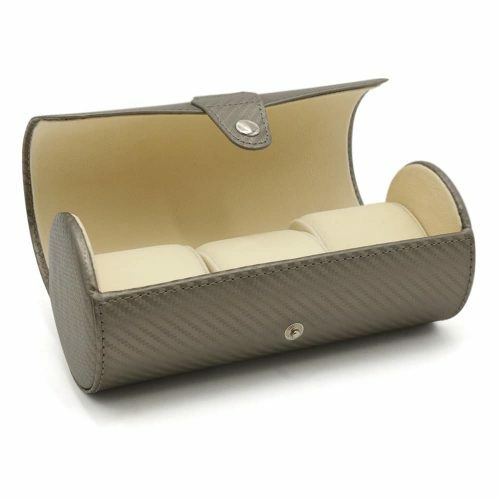 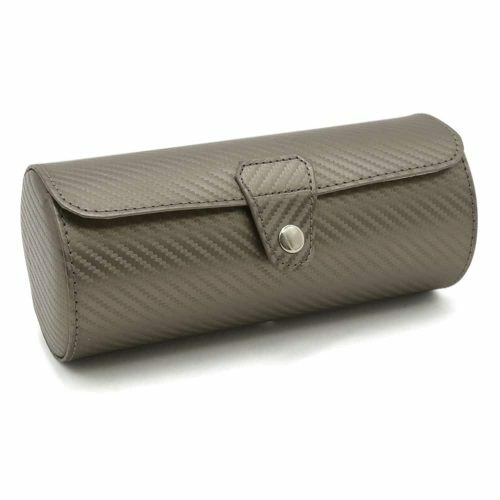 This watch winder is made of high-quality PU leather in black with crocodile print and a matching grey velvet interior. 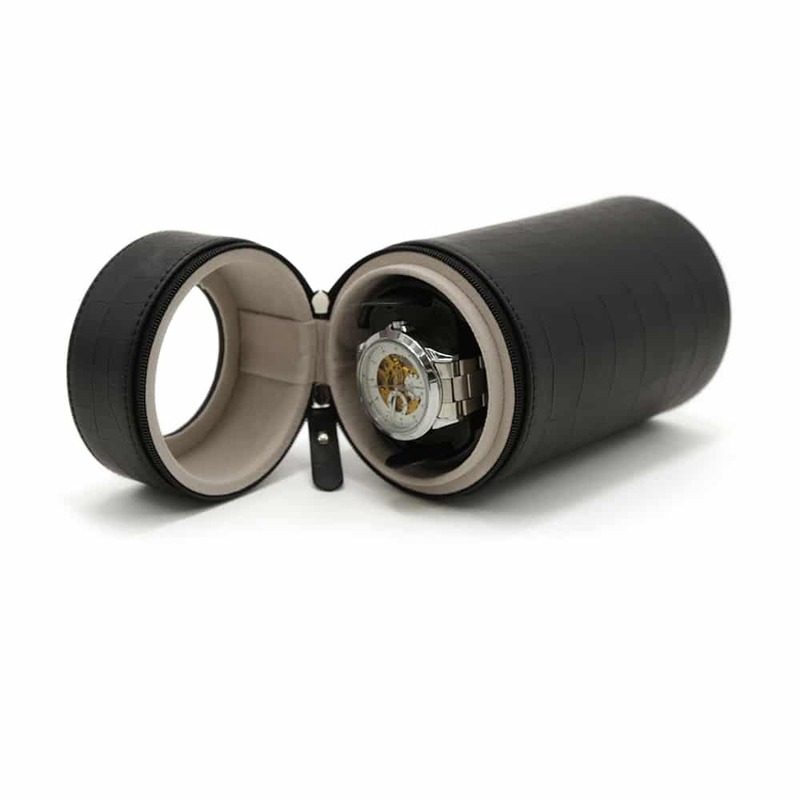 Equipped with the latest technology, this watch winder has 3 motor functions and is noise-free when being used. 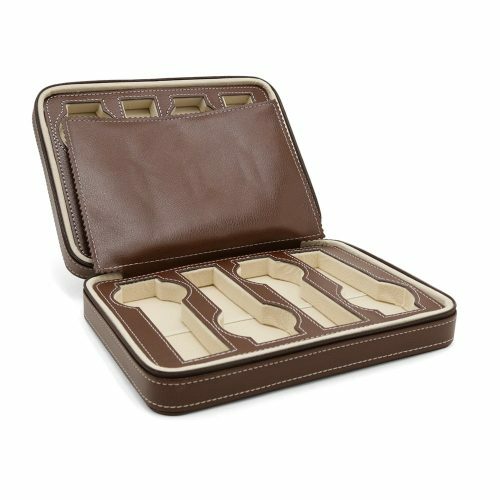 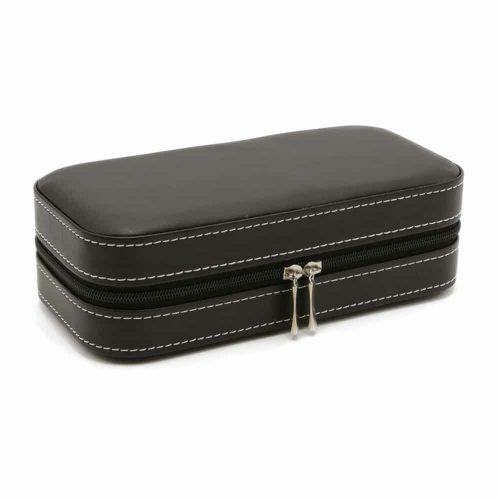 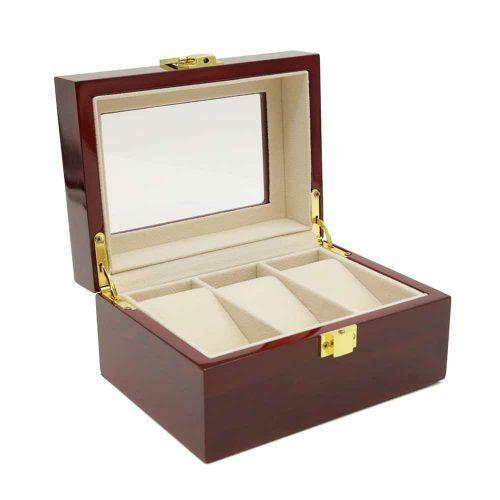 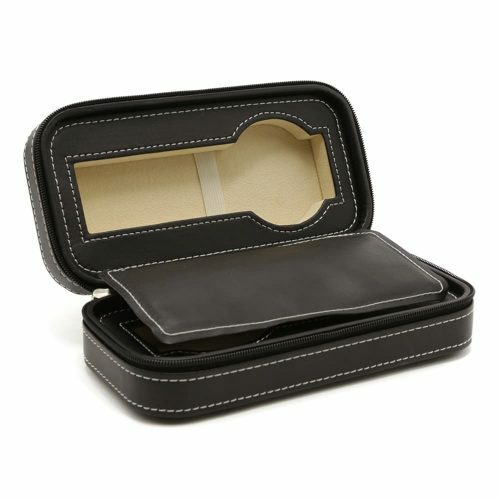 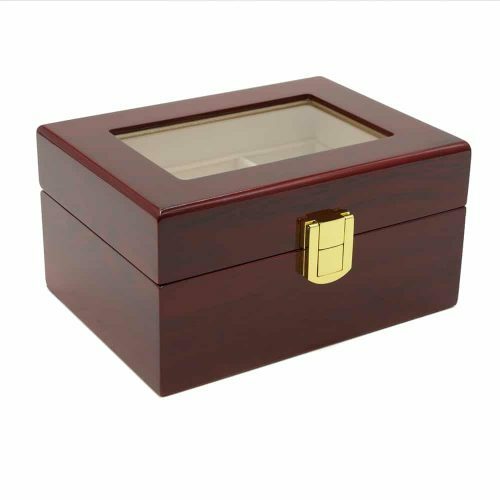 The lid has a strong zip enclosure and a see-through panel to view your watch as it winds.